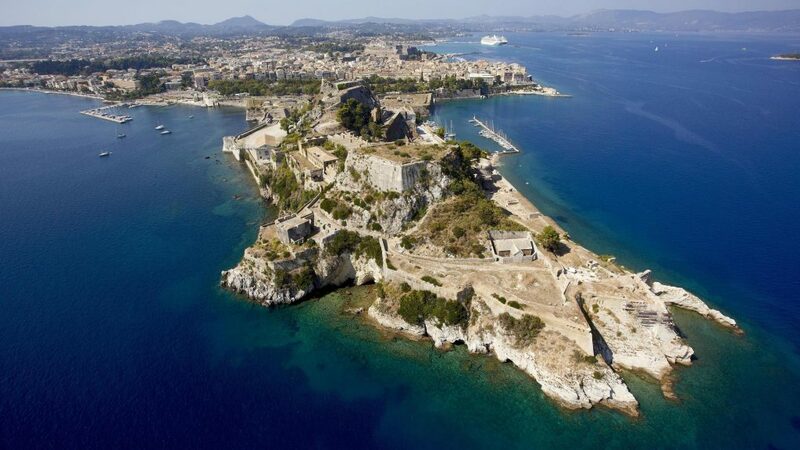 Did you know that Corfu, a splendid island with a unique charm, is the greenest in Greece? 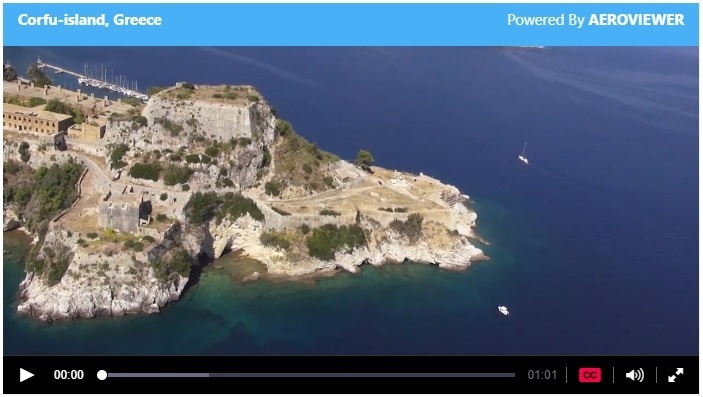 As you plan to travel Corfu, you can explore the entire island beforehand via an app & web site that shows you aerial photos and continuous videos of the Mediterranean coastlines. 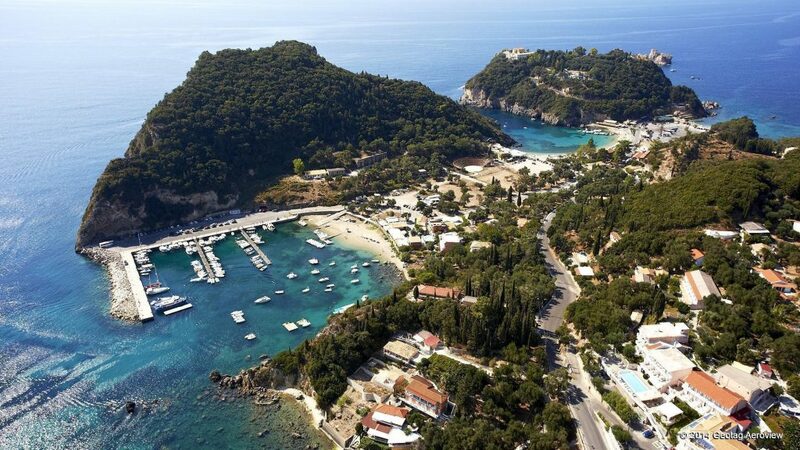 Corfu, the second largest of the Ionian Islands that make up North West of Greece, is the epitome of the mild Mediterranean climate. It is an island drowned in the elegance of the town, over 6,000 species of flowers, snow-lined mountains, and excellent beaches. The town’s traditions and culture were greatly influenced by the French, the British and more so the Venetians who ruled the island for about 400 years. Talk of baroque, renaissance and greek architecture clearly depicted through the town squares, monuments, fortresses, castles, and palaces. A typical example is the famous Achilleion Palace. Summer in this Mediterranean island is warm with blue beautiful skies. During this time, there are seasonal breezes that create cool environmental conditions suitable for surfing. This is also a good time for sunbathing. In areas with mountains, summer is a bit cooler. Winter season is generally mild. With the rains often occurring between the months of November and March. There is an average of 8.5 hours of sunlight with July and August hosting the most hours of sunshine. Spring season is always the best time to breath of the very natural atmosphere created by the wealthy vegetation of different colors. You will really enjoy partaking in this experience. The most celebrated and popular season is summer. Easter happens to come at the peak of summer and my is it celebrated in style. Celebrations start on Palm Sunday at 11:00 A.M and run all week long up to Easter Sunday. The holy week ceremonies are marked with a litany along old Venetian city walls, concerts and theatrical performances, services, candle lighting, bell ringing, singing, shopping, and feasting. Its celebration is always the highlight of every summer with the aroma of delicacies such as Foyatsas and Mandolatos everywhere. The Corfu beaches are most beautiful during this time. Here, autumn is always graced by the sweet smell of grapes in the air. The fastest means of reaching Corfu is by plane. Corfu "Ioannis Kapodistrias" airport is fed by a number of airlines. Airlines serving Corfu airport throughout the year include Aegean, Sky Express, and Olympic airlines among others. During high seasons such as Easter, additional airlines such as TuiFly, Transavia, Easyjet and German Wings also get tourists in and out of Corfu. A thing to note is that it's best to always have you passes printed as you get in. There are very few web cafés with printers in the town. Last minute efforts to print may be very stressful. Avoiding them will leave you enjoying your stay with peace of mind.